My credit score dropped 16 points recently. I am still within the ‘Excellent’ range, but I was not happy to see a drop. I normally glance over my credit score daily when I log into Mint. Imagine my surprise when I saw a red, downward facing triangle on my page. 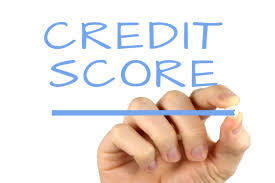 The triangle indicated that my credit score had dropped 16 points during the last cycle! After clicking for more information I found the reason for the drop. There had been a 9% increase in my usage. Usage refers to the percentage of available credit that you use. So if you have a limit of $1,000 and use only $50 then you have a lower usage rate than someone who uses $800. What was the reason for the increased usage? Recently I had a very large tuition bill. I always pay my bills via credit card to take advantage of the cash back rewards. In this situation the large bill pushed me towards the upper limit of my credit card. At the time of reporting I had not fully paid of the balance. This made it seem like I was in danger of going too close to the upper limit of the card. The only way to get this usage percentage down is to pay off the card. I normally pay all my cards in four weekly installments. The payments were already on the way via check when I noticed the drop in my score. I will continue to pay my card the way I normally do. This means when the utilization goes down my credit score should go back up. Have you noticed a change in your score lately? What have you done about it?